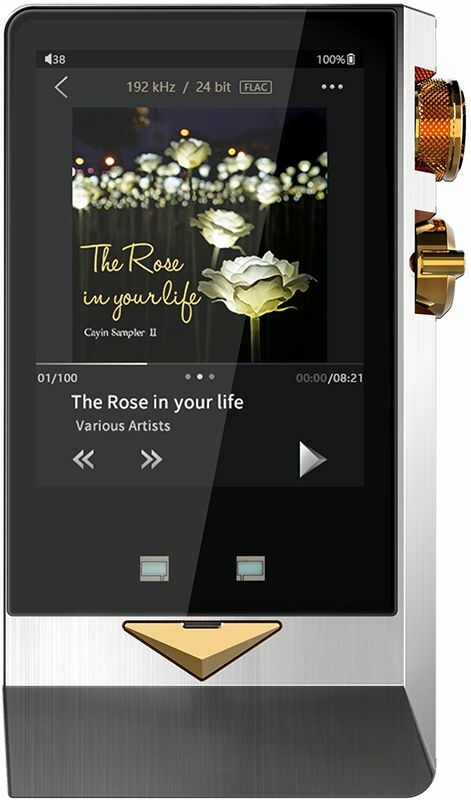 Cayin recently announced their upcoming latest flagship portable digital audio player – the Cayin N8. The Cayin N8 is built with features that we don’t usually see in a portable digital audio player or I haven’t seen done before. The Cayin N8 is built with a balanced solid state and a triode vacuum tube output. This means that the N8 would have two types of output amplification – one via solid state like what most DAPs have and another via a triode vacuum tube. Well that’s how I understand it, I haven’t seen or tested it yet since it will be a few months from now before we see this product in action. The Cayin N8 will also feature a dual AKM AK4497EQ DAC chip and will support up to DSD256 and 32bit/384kHz audio formats natively. Check out more details and its specifications from Cayin’s official new below. The Cayin N8 is the first price-no-objective portable digital audio player from Cayin. This is our attempt to deliver best possible high fidelity audio performance to portable users. The N8 has consolidated their 25 years of extensive experience in high-end audio industry and impeccable digital and analogue audio capabilities. It features two AKM AK4497EQ DAC chipsets and can native decode up to DSD512 and 64 Bit/ 768kHz with stellar dynamic range and channel separation. Bin Liang, CEO of Zhuhai Spark Electronic Equipment Co., Ltd., parent company of Cayin, said “While the N8 offers state-of-the-art digital decoding for portable player, it’s the analogue that makes it stand our as our statement to the head-fi market. For the first time ever, we have created a DAP with choice of Direct Heated Triode vacuum tube and full balanced solid state in one portable package. N8 users can select the audio signature that fit their headphones or music genre conveniently”. On top of being a brilliant standalone player, Cayin N8 offers six input and output options so that you can integrate the DAP into your home audio system flexibly. The I2S Digital output (via micro HDMI) is by far the most sophisticated digital interface from N8, it can connect to I2S input of our CS-100DAC and N8 will become a high performance digital transport. We have also embedded the S/PDIF Coaxial signal into the Type-C secondary bus pins. This is our proprietary design and N8 users will be provided the necessary adapters to connect the player to portable and desktop DAC. N8 also supports USB Audio, it can function as USB DAC (input) or USB Transport (output) through its Type-C USB interface. Last but not least, N8 comes with dual line out design. On top of the commonly used single-ended line out through the dedicated 3.5mm port, Cayin has added a ground connection to the “Pentaconn” connector so that N8 can facilitate full balanced line out through the shared 4.4mm TRRRS port. There is no reason to settle for less on the final appeal and finishing when N8 excels in almost every aspect. The main N8 chassis is CNC out of a single piece of stainless steel and the rear panel is a specially molded 3D toughened Gorilla glass with AF and DLC coating. This combination not only offers attractive visual impact, it is also a functional design that feels good when you grasp it. The Cayin N8 is scheduled to launch on August 2018 but the company hasn’t revealed the suggested retail price for their N8. But considering that this is a flagship DAP and is built with high-end and premium features, I’m pretty sure this will be priced with a 4-digit figure.